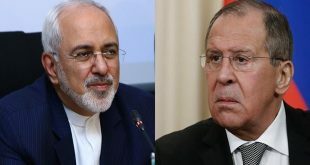 Damascus, SANA – President Bashar al-Assad discussed on Thursday with the Russian President’s Special Envoy on Syria Alexander Lavrentiev preparations for Astana 7 meeting and the files to be discussed during the upcoming round. 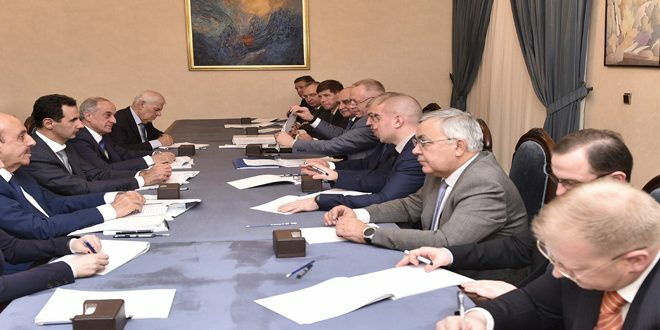 Talks with Lavrentiev, who is chairing a Russian delegation, dealt with the victories achieved by the Syrian Arab Army and its allies in several areas. 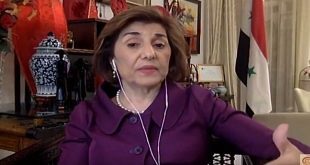 President al-Assad affirmed that the liberation of the Syrian territory from terrorism, achieved at the hands of the army and its allies, prepares the ground gradually for more political action, particularly that the Syrian government continues to deal positively with any political initiative seeking to stop the Syrian bloodshed and restore security and security in a manner that guarantees the unity and sovereignty of Syria. 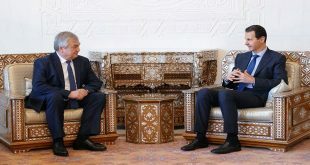 President al-Assad affirmed that the Syrian state is determined to continue the war on terror on the one hand and support the political track on the other hand through accelerating the pace of national reconciliations and dialogue among all via holding a national dialogue conference in Syria to reach to amending the constitution and holding new parliamentary elections. 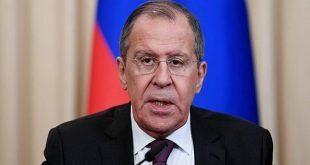 In turn, the Russian side asserted that Russia will continue to support Syria in its war against terrorism, while at the same time it fully supports the political track of the solution that preserves Syria’s territorial integrity and restore security and stability to it.